Everybody wants to have a blazing fast and responsive computer, just like a new one. But as time goes by, Windows PCs slow down and start acting up. Do you feel that you could cook breakfast while Windows is loading? And do you get annoying error pop-ups? If yes, then read on and find out how to speed up your computer. Computer viruses are on the top of the list of things that make computers slow. 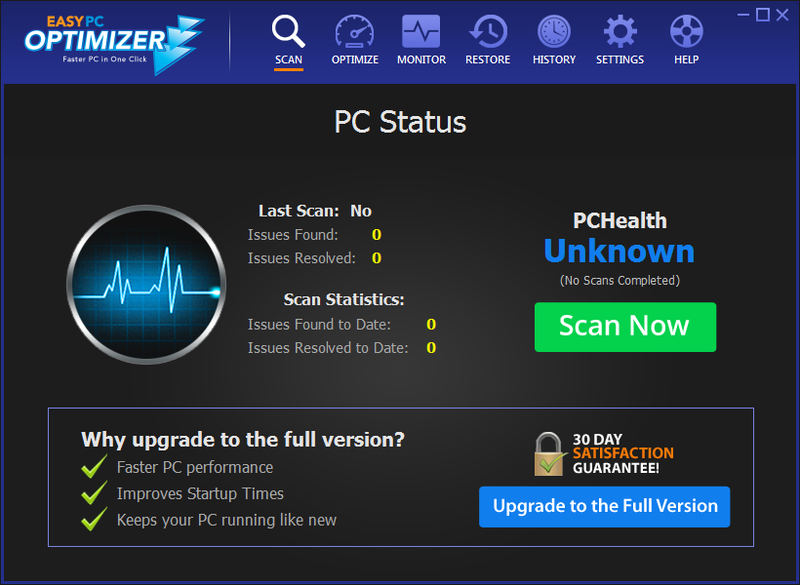 Moreover, virus infections can seriously damage your PC and steal your private data. That’s why you should check your computer for viruses and malware at least once a week, even if you think there are no infections. There are a lot of reliable anti-virus programs and security suites available for download. Just go to a trusted website like CNet, read the reviews, and find the product that works for you. Did you know that simple computer activity like creating files, browsing the web, chatting on Skype, and watching videos creates a whole load of useless temporary files that waste your hard drive space and make your computer slow? If there are too many junk files, Windows search will take ages, disk defragmentation will require a lot of time, and your anti-virus software will have a lot more files to scan. Users that never clean up their hard drives often have gigabytes of disk space occupied by junk files. 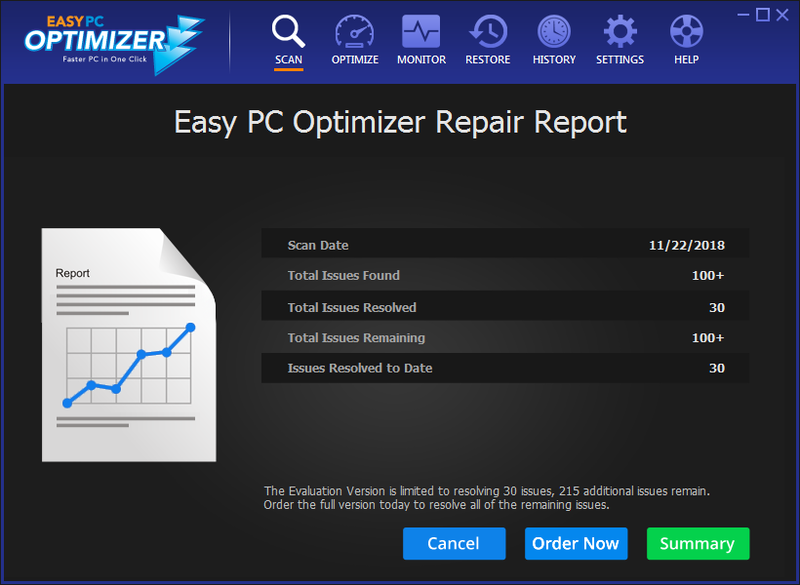 Easy PC Optimizer makes it easy to delete junk files in just a couple of clicks. 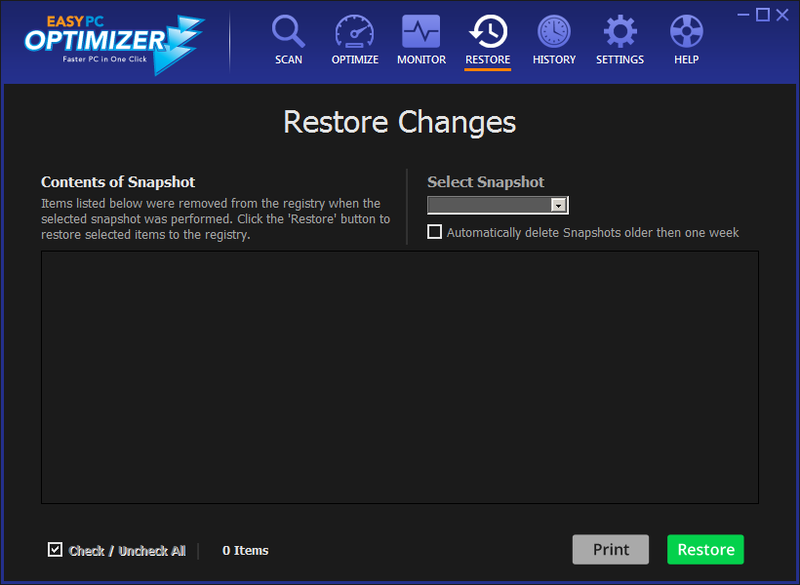 All you need to do is go to the System Cleaner tab, analyze your drive, and delete temporary and other useless files. Registry cleanup is one of the most important parts of computer maintenance. The registry is the heart of Windows, which means that your computer can slow down or even fail if the registry stops functioning properly. Common registry problems are invalid uninstall entries, missing shared DLLs, empty registry keys, and invalid paths. 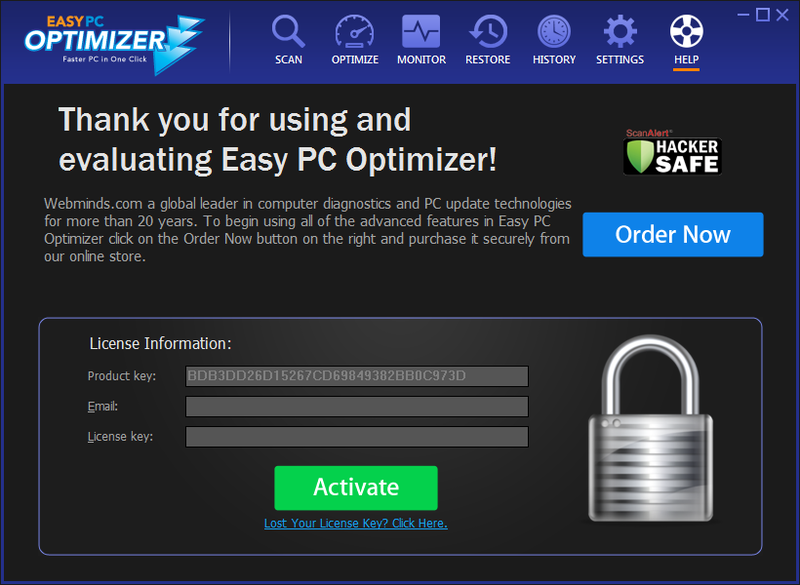 Easy PC Optimizer can fix all common registry errors, as well as broken shortcuts. 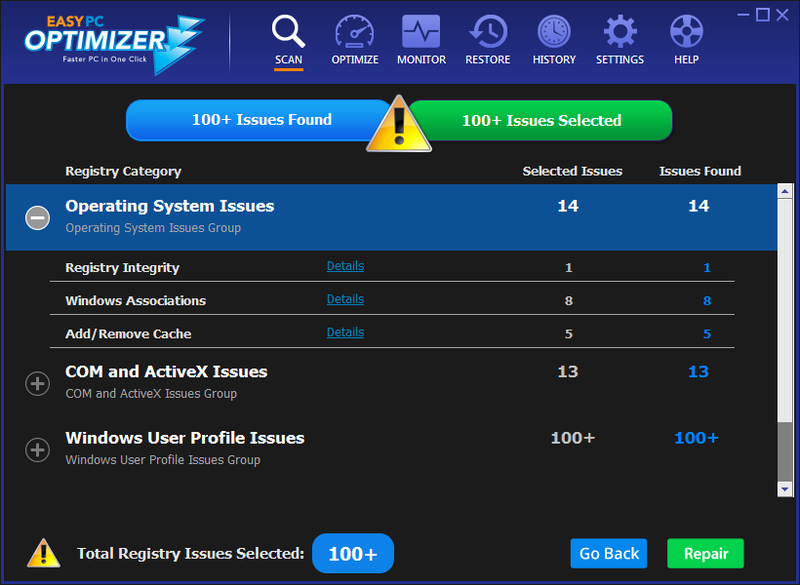 To clean the registry with Easy PC Optimizer, open the main software window, scan the registry, and let the software delete all detected errors. 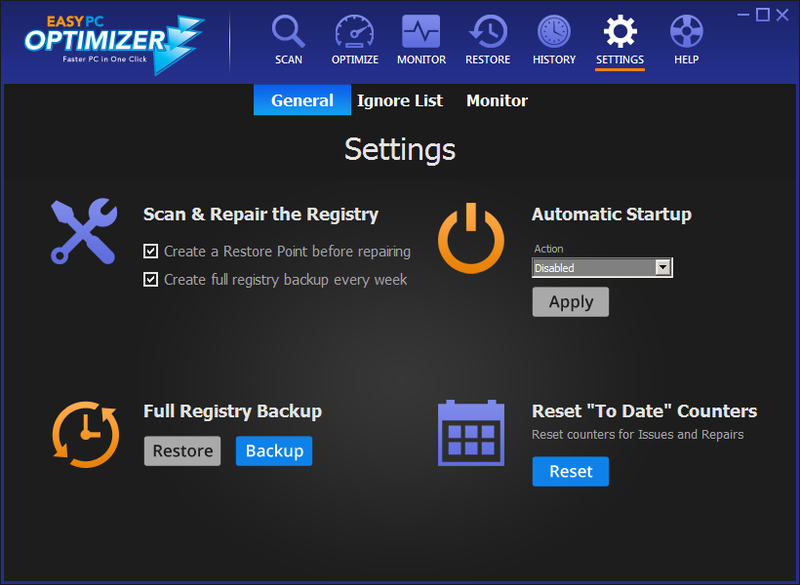 Using Easy PC Optimizer is absolutely risk free, as it always creates a backup before making any changes to the Windows registry. When you save new files to your computer, Windows splits them into little fragments, which get scattered all over the hard drive. The more fragmented the files are, the more time your hard drive needs to open them. Defragmentation is a simple process of putting file fragments back together. All Windows versions have a built-in defragmentation utility. You can find it by clicking on Start – (All) Programs – Accessories – Disk Defragmenter. As a rule, you should defragment your disks at least once a month. ReadyBoost is a great feature that is available in Windows Vista and Windows 7. This feature allows you to use a USB flash drive as an addition to RAM and helps your computer run faster. ReadyBoost is very easy to enable. Just plug in a USB thumb drive and there will be an option to use Windows ReadyBoost in the AutoPlay box. These simple tips will help you speed up your computer and make it run like new.